I could actually step outside today without feeling like I was going to lose my toes and nose after a couple of minutes! Phew. Of course…that doesn’t mean I was able to get much done, still, considering it didn’t get warmer until about 10:30. I went out to make sure Teddie still had his toes and whiskers, but didn’t ride him, just played. I feel “wrong” if I ride after 11. I know that doesn’t make sense, but it’s what he’s used to, too. The one time I rode him in the afternoon, we had the most miserable experience to date, so maybe that’s my excuse. Like human, like pet. Maybe we’re both morning people. Are you more productive in the morning or the afternoon? I wouldn’t say I use the afternoon to laze around – but if I’ve got a big project to do, it’s getting done in the a.m., not the p.m.! Take, for instance, this morning: I baked cupcakes and date bars before it was even 10:00. And yes, I made my own breakfast and even got all dressed, too. And for what it’s worth, let this be a lesson to you all: do yourselves a flavor and use fresh baking soda. I’ve been using old baking soda for…well, probably as long as I’ve been blogging…and never really cared. I figured the things I bake just don’t rise too much due to the fact I’m usually using whole grains and…er…different…techniques. Well, that may have something to do with it…but not when I’m making something perfectly “normal.” The first picture – cupcakes I made this morning with fresh baking soda. 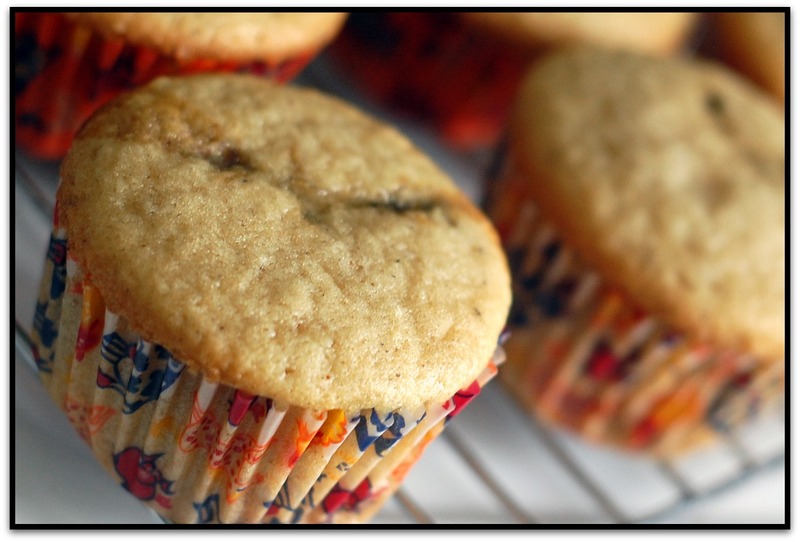 Above – cupcakes made with old baking soda. There’s a bigger difference than it looks. I’ll be making sure I use in-date baking soda from now on, thankyouverymuch. Oiled a GreenPan. I had no idea they were as non-stick as they are so the oil just sat in one spot in the middle, and as soon as I poured eggs in, oil pooled at the top of the eggs. I felt like the guy on the Worst Cooks in America. Speaking of the eggs, I was making an omelette for my mom’s b/f and totally spaced on how to make an omelette. I used to love eggs, and now I don’t even remember how to cook them. An omelette, for Pete’s sake. Shouldn’t that be almost second nature?! While making these date bars, I put all the crust on the bottom, said aloud “Wow, I didn’t remember the crust being this thick last time!” only for my sister to say “wasn’t there crust on the top last time?” D’uh, Jess. I’m glad my sister knows what’s up and Henry will eat just about anything served to him, because otherwise I might be in trouble. It’s a wonder I made it out the door with my head on this morning. Please tell me I’m not alone – what’s the spaciest thing you’ve ever done in the kitchen? Luckily, for all the things I do completely wrong, I can do things completely, right, too. I whipped up some rhubarb cupcakes on a whim based off of a request, and made some more date bars, too. 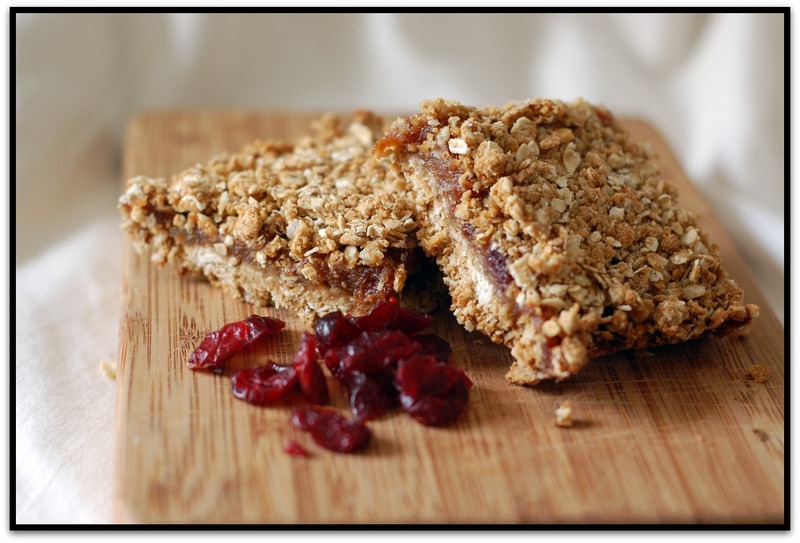 My mom and I were huge fans of the date bars out of Vive le Vegan last time I made them, and I knew it wouldn’t be long before I made them again. Since I can’t make the same exact thing twice (apparently) I switched it up a bit this time. Well, it’s either that or the fact that lately I’m obsessed with anything cranberry-orange, in case you haven’t been able to tell. It’s becoming a little bit of a problem. A problem I really, really don’t want to fix. makes 16 squares. Or 8, if you like them as big as we do. Preheat the oven to 350*. 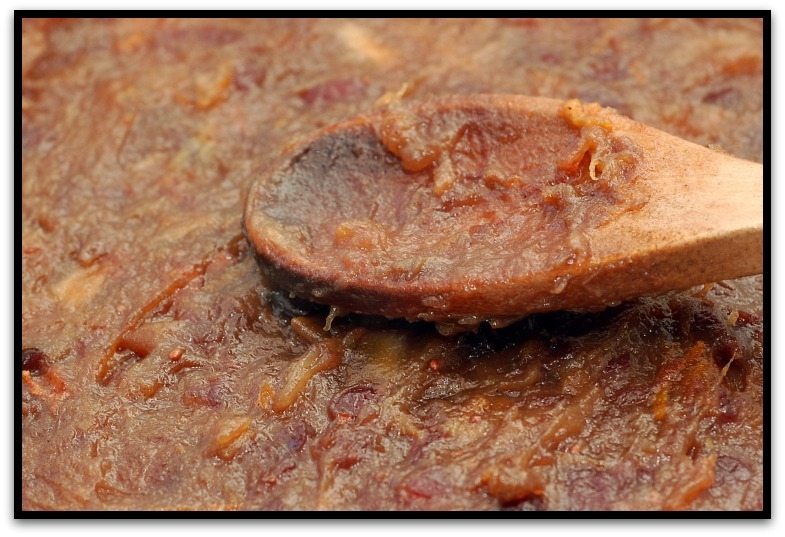 In a small saucepan over medium heat, combine all of the ingredients for the filling except for the zest. Cook approximately 10 minutes, or until the dates break down. It might not seem like that will happen – but just keep stirring occasionally and the mixture will become smooth and thick. Once it is done, stir in the zest. 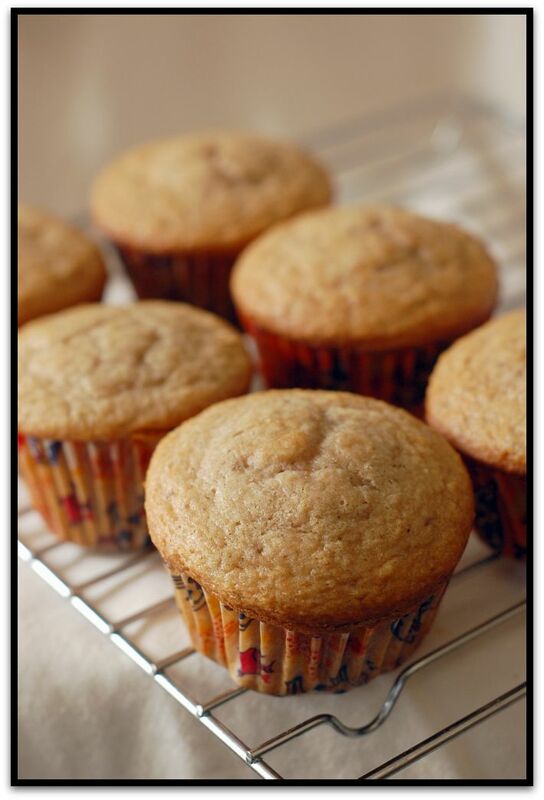 In a separate large bowl, combine the oats, flour, sugar, salt and baking soda. Add the date syrup and almond milk and combined until clumpy, and then stir in the oil, again combining until clumpy. You might have to use your hands. The mixture will be crumbly but should hold together okay when pressed. Lightly spray a 9×9 baking dish (or thereabouts) and press 2/3rds of the mixture in the bottom of the pan. Pour and spread the date mixture over top, and then sprinkle and then gently press the remaining crust mixture over top of that. Bake for about 28 minutes, or until golden on top. Allow to cool before slicing and serving. I was going to save some to bring to work tomorrow…but they might not be good enough. I definitely learned my lesson with the out of date baking soda/baking powder! I also learned that vegan baking needs a light hand. You can over mix stuff easily! 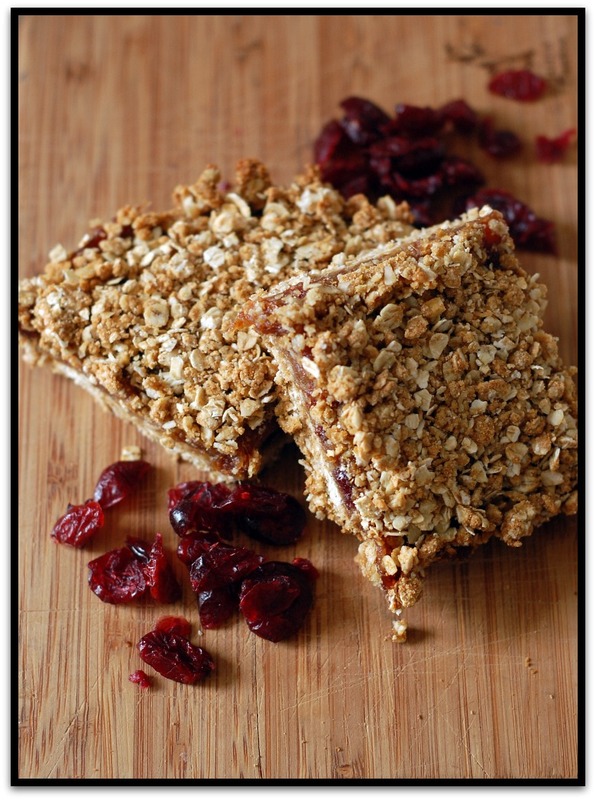 Everything looks delicious and I love the flavor combo on the cranberry orange bars! YUM! You know I tend not to pay much attention to things like that… I should really check the date on my baking soda / baking powder. Not that I’ve had a problem with things rising, but maybe I have and just haven’t noticed! Can we consider that my mom just asked me if I’m supposed to have something simmering on the stove, since it smells like gas in the kitchen?… Apparently, I thought I turned off the stove and I didn’t. This is a … dangerous habit. DEFINITELY a morning person over here 🙂 I always seem so positive, motivated and take-charge in the morning. Then as the days goes on.. I falter. oo i didnt realize how big a difference baking powder would make!… these look so good and seem pretty simple too.. i am def a morning person.. i get SO much done before most of my family has even woken up! I think I need to run to the kitchen to look at my baking soda, lol. One time I was making a pumkin pie, the kind that uses a can of sweetened condensed milk, eggs, etc. Well, I had mixed everything up and poured it in the crust and then I thought “Hmm, it looks very white, must be because I used a white pumkin…” And then it hit me – I forgot to add the pumpkin. LOL! Fortunantly, I was able to add it in, but that was a rather embarressing moment! I get all of my stuff done in the morning and by around 2 PM or so, I’m usually slowing down and relaxing more. I still wish I could convince myself to follow a normal dessert recipe rather than trying to cut things out of it. I’ll get there one day. Then I’ll make those squares you have there because they look crumbly and chewy. We finally beat you guys! It was such a good game. But its been exciting every time we’ve played. I’m definitely more productive in the morning. Around 7 my brain turns to mush. I’m still there just not doing anything coherently! Haha I have lots of those spaced out moments too. Last night I forgot that I had put my pasta bowl on the stove to keep it warm, and when I picked it up, it was so hot that I dropped it and my dinner went all over the floor! I am super productive in the morning! If I don’t get it done in the morning, it probably won’t get done. And those bars look awesome! The date bars look amazing and the baking soda does make a huge difference! I’m always doing spacey things in the kitchen like mixing up teaspoons and tablespoons. That always turns out badly! Okay this is a little weird. I am not a “morning person” in the sense of don’t speak to me until I have my first cup of coffee. However, once I am up and awake I like to get things done quickly so I have open afternoons. Those bars look delish, and I just purchased a nice bag of oranges today!! I think I’ve had the same big ole’ bag of baking soda for 2-3 years now, haha. I bet it’s expired! There was a really big difference in the cupcakes with new baking soda, I wonder if my old baking soda is affecting my baked goods? I’ve done a lot of stupid things in the kitchen. My most common mistake is stirring, stirring, stirring… *Why isn’t this thing boiling? * stirring, stirring, stirring… *Something’s definitely wrong here. * stirring, stirring, stirring… *You, idiot! When will you finally turn the heat on? * Yeah, I’m stupid. And the mistakes get more frequent in the evening which answers your other question. Those bars look so gooood! I really miss crunchy chewy sweets. The last couple of times I’ve baked cookies I ended up dumping them in the trash, seriously. Those bars look incredible! I have to agree with Chesley! I get things done better in the morning. Honestly, I don’t get very much done ever, so I really should not be talking. Haha. thanks for saying hi just now! Oh i agree!!! I keep the good stuff for myself 🙂 haha! Almost every time I try to change the batch number of a baked good I eff it up. Too much of one thing, not enough of another…nightmare. I either have to rewrite the recipe or make multiple batches! I’m much, much more productive in the morning than I am in the afternoon unless I get a sudden urge to do something. But I feel weird baking in the morning for some reason..that’s always an afternoon activity for me. Kind of like how riding is a morning this for you and Teddie and it’s usually an afternoon thing for me and CoCo. haha I never realized how certain things fit into a schedule and other things dont..
Cranberry and orange are great flavours together . This is a ktchen quest gone right! The do look way to good to give away, great pictures. Ooh yum! I just bookmarked this to make! 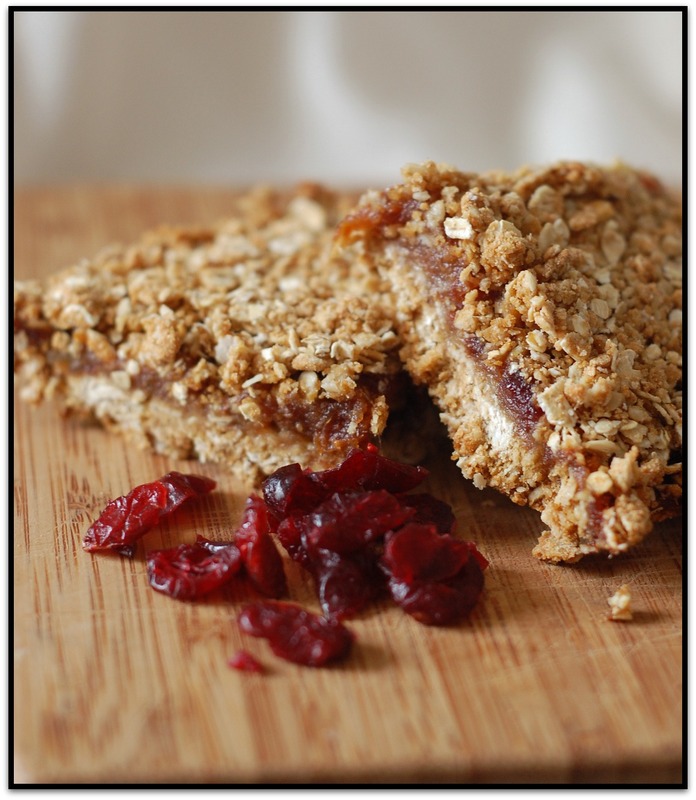 god i love date bars so much, and with cranberries? why not!!! mmmm but those sticky dates gahhhhhh me want me want!! GAH those bars look amazing!! !